Since your experience in LEAD 365 I’ve been doing more informal research and reflection on why we choose to offer a module on communication. As such, I’ve gained more clarity about why we explore it, what the challenges are and what can be done to be a more effective communicator. We choose to focus on communication because it’s truly important if you want to be a great leader AND, like so many other topics we cover, it’s truly challenging. It’s partly challenging because we often think it’s easy. We often believe that we communicated something very clearly and we also tend to think that we understood somebody clearly, even when neither is the case. A concept I learned in my manufacturing days is that when you have to identify defective parts 100% inspection is only 80% effective. When you MUST ensure that defective parts DON’T GET to your customer, you have to understand this truth and do more than just a one-time inspection of the parts to find all of the defects. If you understand this fact, you may be okay. If you think 100% inspection is 100% effective, then you will be in trouble. I believe the same thing is true for communication. If you have to ensure something is really understood, it takes a lot more than just sending a well written email (or writing a blog posting!). It takes more than telling someone what you need them to understand. I suspect that 100% great communication is only 80% effective. This is important to understand if you want to be a great communicator. People come to a conversation with unchecked assumptions and projections based on previous experiences. Remember the “count the F’s” exercise and how blind people can be. If you’d like to see another example that we’ve been using to make this point, check out this video, which demonstrated how the assumptions we make can keep us from understanding what’s really being communicated. People mis-speak more often than they think—and they usually have no clue that they did it. “Yes, I said Thursday, but I meant to say Tuesday.” I find this to be a regular thing now that I’m paying more attention to it. People mis-hear more often than they think—and they usually have no clue that they did it. “Yes, I heard Thursday, but I realize now that you said Tuesday.” Again, I’m finding this to be a common thing now that my eyes are more open to it. This one is often linked to the issue I described in #2, when assumptions go unchecked. 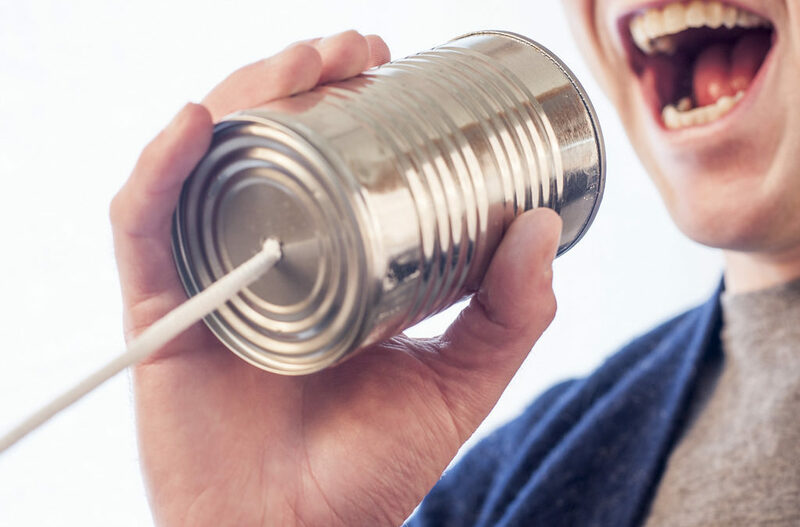 An author I know who is aware of people’s propensity to hear what’s not being said uses the line, “Please don’t hear what I’m not saying.” I like that line and have used it myself many times in order to improve my communication. A lot of our language is fuzzy: What I say can be interpreted differently than what I intended. An example of this is when I say “a lot” of of language is fuzzy. What does that mean? 80% of it is fuzzy? 10% of it? What the listener understands maybe be very different than what the speaker intends. I’m sure there are other examples you can think of for why effective communication is challenging. If so, please send me your thoughts. So what can great leaders do about all of this? First, understand it and don’t get upset when someone doesn’t understand you. It doesn’t mean they don’t care or that they weren’t paying attention. If you’re a verbal processor, you might warn people when you’re thinking out loud. You might also process your thoughts with a safe person, which will help you gain clarity before sharing your thoughts with others. Look for more than one way to communicate the information. Some will receive it better verbally while others will understand it better with something visual, or through an experience with the topic. Many of us are visual learners and many learn betting by doing. You might recall us sharing the concept of communicating important information 7 x 7 ways. We don’t mean this literally, but the point should be remembered. Take 100% ownership for the communication. Remember our story about Magic Johnson taking 100% ownership of every pass he makes? It’s not fair if someone doesn’t receive your info well, but the goal is effective communication, not fairness. And finally, you might consider writing a follow-up email or note reaffirming what was shared. This is also nice for documentation purposes, and for people like me, who like to have a searchable document that can be used do to help supplement a suspect memory. Listen beyond the words. Be curious about what the person isn’t saying but might be in them and pertinent regarding what they’re sharing. Paraphrase in your own words what you’re hearing so you can check to see if it’s correct. Take 100% ownership for understand the communication. Don’t assume you understand when the message is confusing. You might send a follow-up note to confirm what you heard. Again, this is also nice for documentation purposes. So I’m hoping that this written communication is helpful! I’m also hoping that you understand what I’m trying to say – AND I realize that this approach has limitations so some of you won’t catch what’s being offered, even if you dutifully read it. Feel free to offer comments or questions if you have them. Thanks for your commitment to be an amazing leader! Together we are making West Michigan the best place there is for leaders worth following. Image by Free for Commercial Use. Used under CC BY-SA 2.0 license.